It all felt a long way from home, and sometimes during my stay I felt quite scared and a little homesick. Little could I have guessed just how much of an opportunity was about to come my way. After about three months in Nanjing, I went to the local TV studios with a Chinese friend I had made. He was taking part in a bizarre game show that involved him dressing up in an incredibly heavy Michelin man-type costume and trying to complete an obstacle course. He didn't win, but it was hilarious to watch. While I was at the studios, I saw people queuing to take part in another programme, a sort of X Factor singing competition. I knew I had to audition. I found the producer and sang Time To Say Goodbye (a song made famous by Andrea Bocelli and Sarah Brightman) for him right there on the spot. Amazingly he said I could take part in the show, called Min Xing Chang Fan Tian (it means I Want To Sing To The Stars). I performed live every night for two-and-a-half weeks. I sang a real mixture, including Puccini's O Mio Babbino Caro, Stop by Sam Brown, and Yeu Guang Ai Ren, the theme tune to the hit Chinese film Crouching Tiger, Hidden Dragon. The show was broadcast live to millions of viewers throughout Jiangsu province, which is three times the size of Britain – and, astonishingly, I won! I received a trophy and about ￡1,000, which certainly goes a bit further in China than it does in Britain. I also got the chance to record the winner's single on a CD. However, I couldn't do it because the conditions of my student visa didn't allow it. with Decca, and later I was approached by John Lunn, composer of the music for Downton Abbey. He asked me to sing on the programme’s soundtrack, which I was thrilled about. 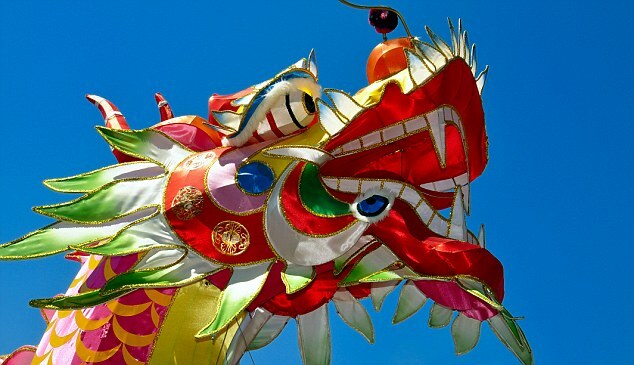 Of course, I wasn’t a total novice when I performed in China – I was a member of Gloucester Cathedral Youth Choir and the National Youth Choir of Great Britain. I love singing in a choir. There’s nothing like it to give you a feeling of emotion, of togetherness. When you’re all bursting into the same chorus, it’s a fantastic experience. My success means I’ve gone from hardly travelling at all to travelling for much of the time. In addition to fulfilling my own commitments, I sometimes accompany my boyfriend, Rich Parker, a champion inline skater, when he takes part in competitions all over the world. full of Chinese tourists during our stay, whenever we got lost I was able to ask the Chinese to point us in the right direction (Italian is the language I’d like to learn next!). And during the past couple of years I’ve been lucky enough to go back to China twice with Rich, who has been invited to compete at an event in Shanghai. Only the ten best skaters in the world participate, and last time he came home with the silver medal , which was an excellent effort. I also returned to China recently to record tracks for my album which feature native Chinese instruments. Participants are told to slow down at the corners but, as you might imagine, health and safety isn’t a major concern in China, so many people do what they like and go tearing down to the bottom at incredible speeds. It’s great fun, and children in particular seem to love it. There are still a lot of places I haven’t visited in China. I would love to see the Terracotta Army collection at Xian (where you can have Xian tour). When my mother came over to visit me in China for three weeks, she went to see it and said it was fantastic. My mum has also been studying Mandarin and is now very good at it. It’s great to be able to practise with her. During her visit, she stayed with my Chinese friend whose parents do not speak any English, so she was forced to talk to them in their native tongue. China has become an important part of my life; it’s where my career really started, so I can’t ever leave it. The language is beautiful, and singing in Chinese is beautiful too. Yeu Guang Ai Ren, one of the songs that helped me win the show, is featured on my album because I’ve got that huge connection with it now. Having been a late starter as far as travel is concerned, I’ve now had the chance to see some places I could only dream about before. 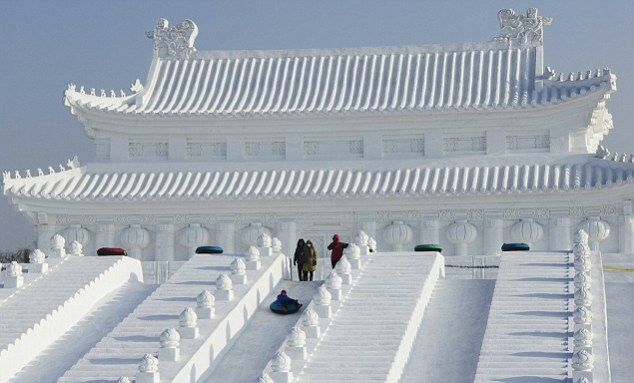 However, the place at the top of my travel wish-list is Harbin in the north of China, which is famous for its International Ice and Snow Sculpture Festival which attracts so many tourists every year and make contribution to China tourism . The pictures of the sculptures I’ve seen on the internet are phenomenal. Some are as big as houses and they are all fully illuminated. I’m not normally a big fan of cold weather, but I’m willing to go and experience temperatures that can drop to minus 30C just to enjoy such a spectacle. My favourite place in China is Gulangyu Island (best destination for popular China travel package), near the city of Xiamen. Everywhere you look there are huge dragonflies flying around and the most breathtaking varieties of flowers. My home city also remains one of my favourite places in the world. Everyone should visit Gloucester Cathedral, which is the most amazing place I have ever sung in. It’s where I performed my first solo. The acoustics are absolutely stunning. They’re refurbishing quite a lot of the stonework and the stained-glass windows at the moment, so I always love returning there to see how the work is progressing. I’m going back for the Cheltenham Music Festival next year, which I am looking forward to. Some of the concerts take place at Gloucester Cathedral, and it’s a real treat for me any time I get to perform in such a beautiful place.